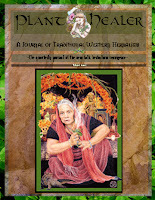 Methow Valley Herbs: Plant Healer Magazine! I, along with many other herbalists, are excitedly watching the calendar count down to Monday, December 6th when the first Plant Healer Magazine will be released! This quarterly online publication is produced by beloved herbalist Kiva Rose and her inspiring partner Jesse Wolf Hardin. Following the incredible success of their revolutionary Traditions In Western Herbalism Conference, this new publication is expected to land another innovative experience to the growing grassroots traditional herbalism movement. This first installment is 160 pages long and full of full color illustrations and photographs. Each page has been carefully formated by the artfully talented Wolf. Rosemary Gladstar, Kiva Rose, Jim McDonald, Phyllis Light, Jesse Wolf Hardin, Sean Donahue, Robin Rose Bennett, Virginia Adi, Ananda Wilson, Darcey Blue French and HerbMentor’s John Gallagher, to name only a few. I myself have an extensive monograph on one of my favorite local medicinal plants Arrow Leaf Balsam Root. 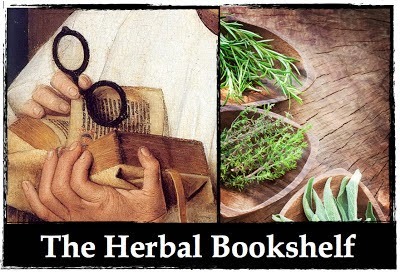 Subscriptions are already open and includes not only the publication itself but several high quality bonuses such as audio recordings from the Traditions In Western Herbalism Conference and a mullein herb walk with the infamous jim mcdonald. These bonuses are available immediately upon subscribing.